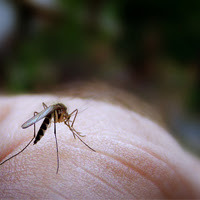 Deaths caused by mosquito-related disease transmission far outnumber those caused by the more seemingly threatening animals, such as sharks or tigers, according to ScienceWorld. In the United States, mosquitoes are capable of spreading encephalitis and West Nile virus to humans, as well as transmitting heartworm to cats and dogs, but these are not the diseases that make mosquitoes the world’s deadliest animal. The danger posed by mosquitoes in the United States is far less than that posed by tropical mosquitoes, which often carry malaria, yellow fever and dengue fever. Concerned pet owners should know that inexpensive options are available to protect cats and dogs from heartworm, a disease transmitted by mosquitoes that can be fatal to animals, according to the American Heartworm Society. The disease is most common in the Southwestern United States, although cases have been reported throughout the majority of the country. Standing water is a breeding ground for mosquitoes which is often found in rain gutters, tree stumps and old buckets or tires, according to control-mosquitoes.com. Eliminating these potential breeding sites from your property or, better yet, from your neighborhood is an excellent way to stop the pests at their source. However, because mosquitoes may travel up to 100 miles from their birthplaces, it can be quite an undertaking to purge your area of the threat completely. Kills mosquitoes with Mosquito Dunks 117-6 before they are old enough to bite! According to control-mosquitoes, bug zappers tend to do more harm than good when it comes to mosquitoes. The website explains that the ultra-violet light emitted by zappers attracts insects of all manner, but rarely kills mosquitoes. Apparently, bug zappers can kill as many as 3,000 beneficial insects in a night (pollinators such as moths and butterflies), but only a handful of mosquitoes. By attracting mosquitoes to nearby standing water without killing them, bug zappers actually contribute to growth of the mosquito population in the surrounding area. Pesticide sprays are also an imperfect solution to the mosquito problem, according to control-mosquitoes.com. Like bug zappers, pesticides kill beneficial insects as well as biting insects. Pesticides also wear off within a few hours, leaving you vulnerable unless you choose to constantly reapply them. Mosquitoes are even capable of developing an immunity to a pesticide frequently applied to an entire property in as little as two months, meaning that you should use pesticides sparingly for best results. However, the CenterforDiseaseControl does recommend using repellents on your person for protection against mosquito-born diseases. Unfortunately, there is no surefire way to get rid of mosquitoes, although you can take steps to reduce the population and protect yourself. Eliminating nearby standing water is probably the healthiest and most effective way to reduce the mosquito population in your area. Occasional pesticide use, such as before a barbecue or working outdoors will protect you, although you should not attempt to eliminate the mosquito population with pesticides. Talking to a veterinarian about how to protect your pets from mosquito-born diseases is also a wise decision. Ultimately, residents of the United States are lucky to deal with mosquitoes, “the deadliest creature on earth,” only as an annoyance or minor threat. This post is written by Erica Moss, who is the community manager for the online Masters in Nursing program at Georgetown University, which has one of the nation’s leading Online Nurse Practitioner Programs. Outside of work, Erica enjoys photography and meeting new people.